Positive Phillip Island shakedown has Australian confident in WorldSSP. 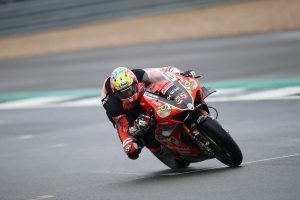 A home win is within reach for Queensland charger Anthony West at Phillip Island’s opening round of the World Supersport Championship, finishing the official test fifth on the time-sheets and within half a second of the benchmark. “I think we can be quite happy,” West told CycleOnline.com.au following the test. 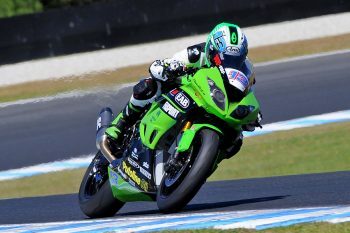 “We are the first Kawasaki, in the top five and managed to finish second in the final session this afternoon. As the conditions changed a lot in the final session, everyone struggled to go quicker, while I was able to match my lap-time from when the conditions were better. Hot, windy, cold, we seemed to be on a good pace. This is good for the race, as it can change so quickly. If we are fast in every condition, it’s good. 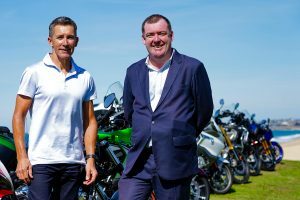 “It’s the first time that my team have been together and the first I have been on this particular Kawasaki ZX-6R with this team. We didn’t do any of the pre-season testing in Europe, so this is our shakedown test. I believe we are on a good level for our very small budget and team. It’s been quite stressful for me for myself to set this team up to be able to do a full year. I’m happy that we are actually now here. Recognised for his will to win on race day, West’s consistent lap-speed on Monday and Tuesday sets him up for a strong weekend, which he is hoping will assist in gaining additional funding for the full season. Right now he is taking it one race at a time with his privately-organised program. The last time West stood atop the podium in WorldSSP was at Misano in 2007. “After getting podium finishes in the past years on the bike I have rode previously, you would expect that I would have to win the round now and that is what I would definitely like to,” added West. “In saying that, I know it’s going to be hard as the Yamahas are really fast and when the MVs don’t break, they are also really fast, so it’s going to be tough, but I believe this is the best chance we have. “The EAB West Racing ZX-6R might not be as strong as Yamaha in some areas, but our overall package is quite good. So as far as it comes in terms of the race, I think we are going to be quite strong. It’s just in qualifying, the Yamaha seems to be quite quick here. After having the two podium finishes in the last two years, I would love to be able to win here in front of the Australian crowd and give them something to really cheer about. Hopefully, if I do win it, it might bring on some more money and sponsorship, as that is what I’m really struggling and stressing about at the moment.